Bring the coffee house home! Now you can enjoy café-quality coffee, tea and frozen beverages delivered right to your front door. 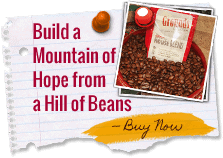 Our #1 blend is a perfect medium roast with beans from Central America, Indonesia and Africa. Slightly sweet with a nutty undertone. Created especially to taste great as an espresso, a blended drink and a drip. Our patriotic house blend of coffee exemplifies what the taste of victory is all about. 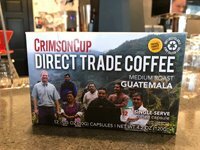 One sip and you will discover how much emphasis, attention to detail was involved during the roasting process to bring you one of the most flavorful cups of coffee you will ever have. 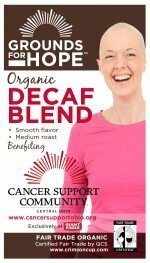 Enjoy our most popular decaffeinated blend. 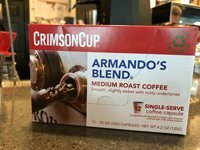 Full of delicious flavor just like the high test original Armando’s Blend. Slightly sweet with a nutty undertone. Our #1 organic blend is a perfect medium roast with beans from Central America, Indonesia and Africa. Slightly sweet with a nutty undertone, Armando’s Blend was created especially to taste great as an espresso, a blended drink and a drip . . . all of them delicious, delicious, delicious. Our House Blend, decaffeinated. Enjoy this smooth, medium bodied blend anytime—whether you’re beginning or ending your day. This organic house blend boasts a smooth, nutty flavor with beans from Central America, Indonesia and Africa. An amazing cup of coffee that will brighten your morning. Friend2Farmer direct trade coffee available in single-serve coffee capsules. 12 per pack. 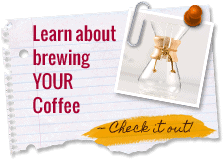 Our Signature favorite available to enjoy in your home brewing system. 12 per pack.